A keyword is a word or a phrase that the search engine such as Google uses to generate a list of results that contain the word or phrase. This list is ranked according to how many times the word or phrase is used on the web page. The use of keywords is an important part of search engine optimization (SEO) and one of the things you have to consider when creating your own website. 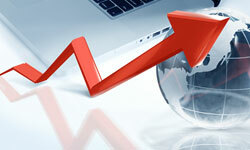 People are more inclined to click on the links found at the top of a search engine’s results list. Google has rules about SEO, and selecting the right keywords is one of them. If you have no idea on how to do this, here are a few things to keep in mind. It lists the search results for specific keywords and its synonyms. The Google keyword tool will also inform you about the number of searches done on a specific keyword locally and globally; with these numbers you might want to rethink the keyword you want to use if you want to generate more traffic for your website. 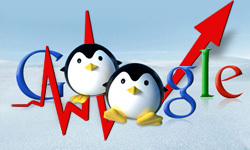 This keyword tool collects all the search results from different search engine websites such as Google, Yahoo and Bing, allowing you to analyze how users make their searches in different search engine websites. Long-tail keywords are keywords that are composed of several words, usually three to five words, that users type in the search box of search engine websites. Experts in SEO recommend the use of long-tail keywords because it strikes a balance between being too broad and being too specific. If a keyword is too broad, it may have plenty of competition so it will have difficulty in getting a high ranking; on the other hand, if a keyword is too specific, not a lot of people are inclined to use it when they are looking for something so it will get a low ranking. 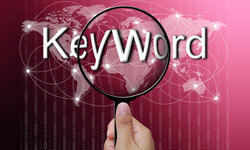 Single-word keywords are not ideal for optimizing because they have too much competition and are too broad. Also, most people do not type in single-word keywords when they do their search in Google. Just because a term is popular, you are going to use it in your website even if the words are not connected to your content. Example, if your website is about babysitting services but you use Obama as your keyword, the user who is looking for Obama will end up in your website and will leave quickly because the content is not useful for him or her. Google will get wind of this and will punish you for it. There are some good points here, but one thing that I find particularly challenging about keyword research and selection is determining how long the keyword/topic will stay relevant. If you put the long hours in to get the right keywords, study the competition for those words, then optimize a page for the selected keywords, and a couple months later no one cares about that topic and isn’t searching it than you’ve completely thrown your time investment away. I think that keyword research should be focused on things that have a longer “shelf life” for internet and worldwide relevancy and popularity. SEO is all about the future as most methods used won’t show results for a period of time and the rules and methods change constantly. It’s hard to stay on top of the game, but I don’t see targeted keywords going anywhere soon. Great tips here – it’s vital to stress importance of thorough keyword research, to determine which keyword phrases are the easiest to compete for, and which will still deliver significant traffic. To be honest, I stopped using most keyword tools. Or if I do use them, it’s to get general ideas of topics to write about. What I’ve found is that most of the articles that get to the top in the rankings are somewhat random. And the articles that I had previously written for a specific keyword don’t usually come up for that keyword, but instead for some type of synonym of that word. For that reason, I think it makes sense to know which keywords get decent traffic, but to write using synonyms in hopes of getting those “natural” rankings that Google seems to randomly give out. Nothing beats a native speaker’s perspective on keyword selection for sure. I have recently started looking at keyword tools. I wanted to do some keyword research and started looking around. I have to say for a novice it is all a bit confusing. The logic of what you say makes sense- about having a balance between search results and competition. But a lot of the tools I have read about need to be paid for and I am concerned that I would be wasting my money. Is Wordtracker the one you would recommend? I try to use a mixture of keywords and phrases on my website. I am guilty of using single words keywords. I guess I need to review what I’ve done to see how I can change those to phrases. I have used the Google Keyword Tools but I sometimes find it difficult to make sense of. Some good points here. I’ve been doing some research on keywords and I had not heard the term ‘long-tail keywords’ before. It certainly makes sense that a person most likely enters multiple words for their search phrase. I had heard of the Google Keyword Tool but Word Tracker is new to me. I will definitely be looking it up for more information. Very good points. I have gotten much better results when I used more specific keywords than just single word keywords.